Poolarama has one of the widest ranges of swimming pool accessories and toys in Ottawa, right here at our Richmond Road location. Need to clean the walls of your pool? We have wall brushes for that tough job. Are you looking for a replacement vacuum head? Poolarama has you covered. Does your backwash hose look worn out? We have those too. Whatever pool accessories you need, we’ll get you ready for what this swimming season has in store. 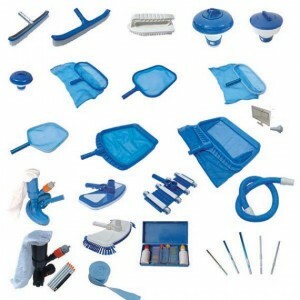 For everyday maintenance of your swimming pool, we carry a wide variety of accessories ranging from testing strips to patch kits and thermometers. We make taking care of your pool easier today, tomorrow, and throughout the swimming season! FOR INFORMATION ON PRICES AND AVAILABILITY, CONTACT US TODAY! Whether you’re looking for toys, goggles, floats, or pool games, we’ve got all the pool toys you need to make the most of Ottawa’s summer. 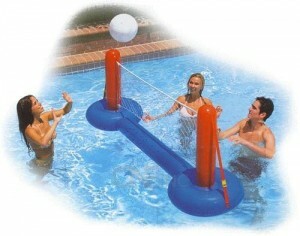 We carry a huge range, including volleyball, waterpolo, basketball, water fitness equipment, and fun diving games to keep the kids entertained all summer long!